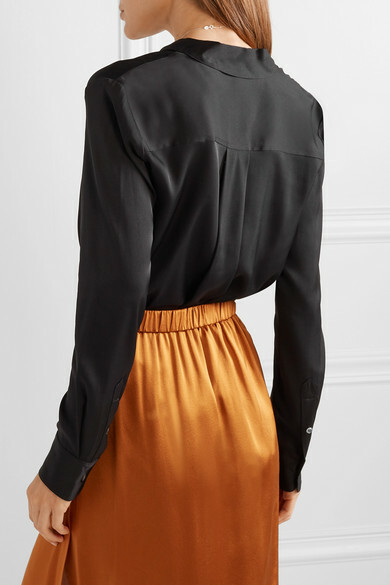 Theory's 'Sunaya' shirt is crafted from lustrous stretch-silk for a languid drape. 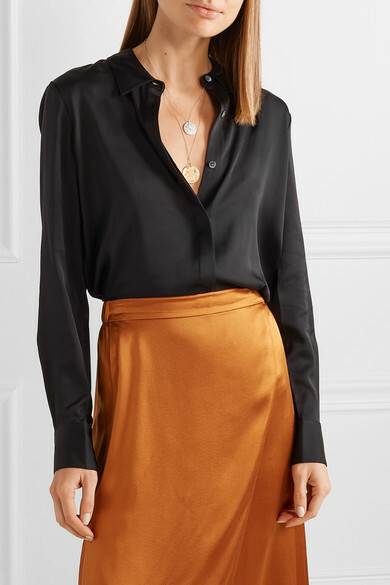 It has a loose silhouette accentuated by soft back pleats and an elongated curved hem that's perfect for tucking into skirts or tailoring. 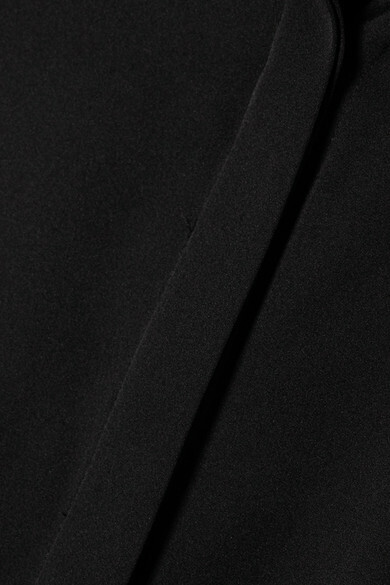 Undo the first few buttons for a more relaxed feel. 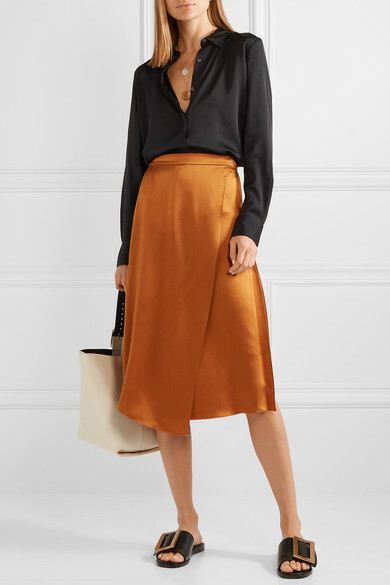 Shown here with: Vince Skirt, Theory Shoulder bag, BOYY Sandals, Alighieri Necklace, Alighieri Necklace.